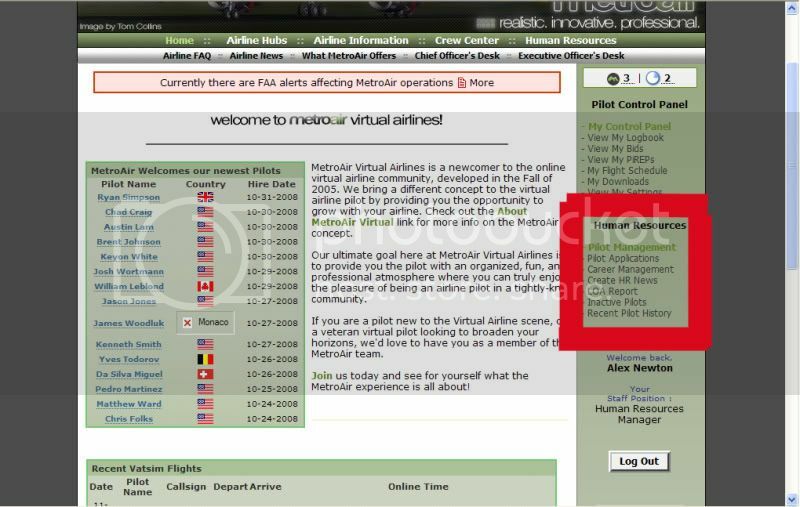 The MetroAir staff would love to offer an inside view on how MetroAir Virtual operates on a daily basis.Â The first of a many part series gives a glimpse of what Alex Newton, the Human Resources Manager for MetroAir, does on a day-to-day basis and how he processes applications, pilot requests, etc. 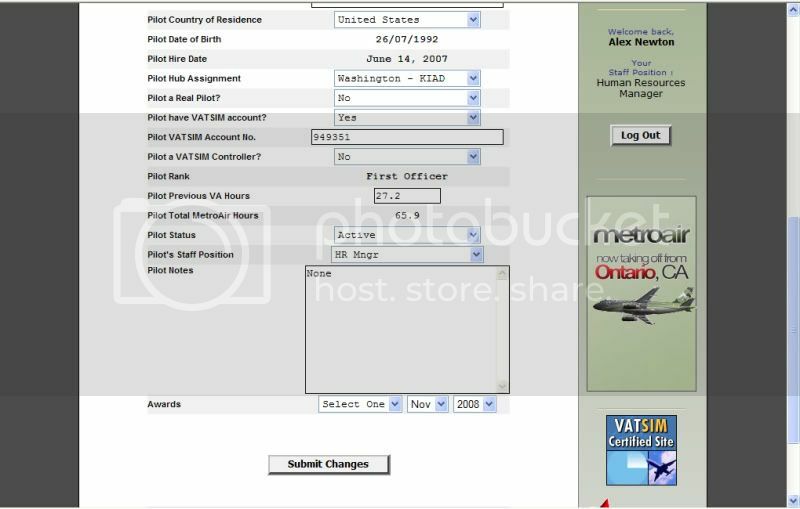 As you would imagine, the MetroAir staff needs many different tools to make the airline function.Â The biggest tool for me is the Human Resources Control Panel.Â The panel provides access to various, essential pages with the click of a mouse. 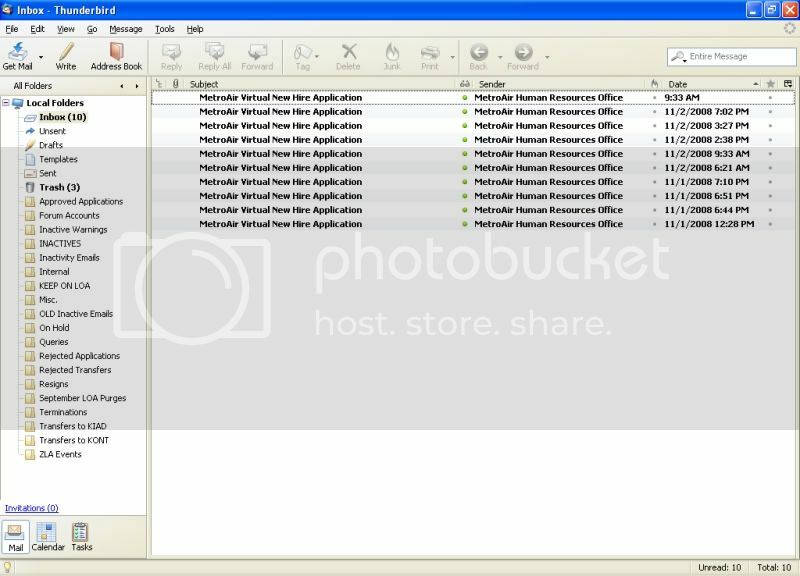 This screenshot shows all of the different tools included on the HR panel. Every single new applicantâ€™s file arrives at my desk.Â Each application comes in the way of an email (as well as on the main website). 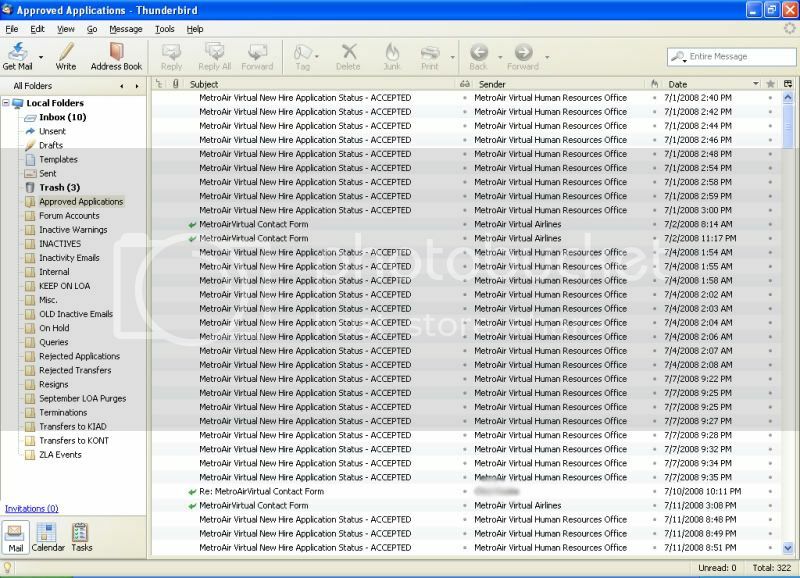 Using a well-organized Mozilla Thunderbird, I am able to easily view all pending applications.Â Inside each email is the new applicantâ€™s file.Â The file contains all of the essential information such as name, birth date, email, transfer hours verification link, etc.Â From there, I then sorts each email into the applicable folder for safe storage.Â As you can see, he has some work to do. Here is a shot of some accepted applications (thatâ€™s right, I keep them for many months). Whether it is reviewing hub transfer requests, processing rehire applications, or terminating pilots, I do it all. 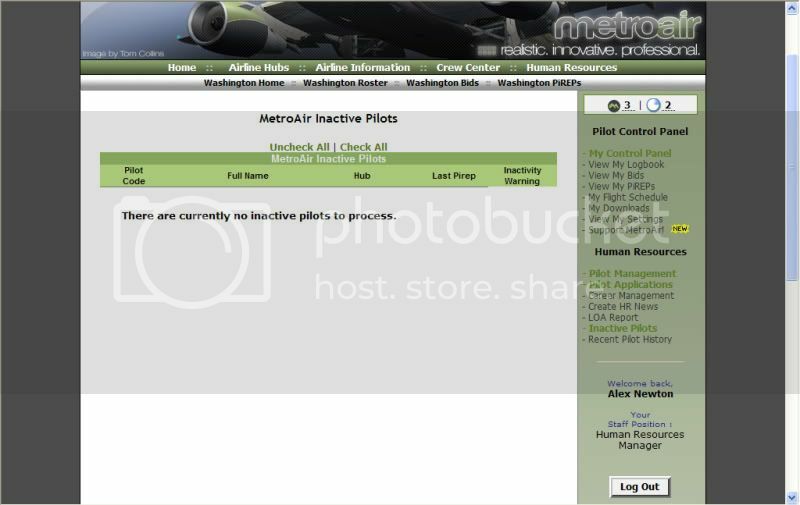 Using the pilot management link on the right, I am able to view the entire rosters of both hubs and all of the inactive pilots. For things such as hub transfers or giving pilotsâ€™ different awards, I can use the detail screen of every pilot which shows me all of their essential information.Â Here is a screenshot of my pilot details screen. When it comes to rehiring pilots or unfortunately, denying applications due to a variety of reasons (false information, bounced email, etc. ), I use a convenient spreadsheet system that helps organize all of the essential information. 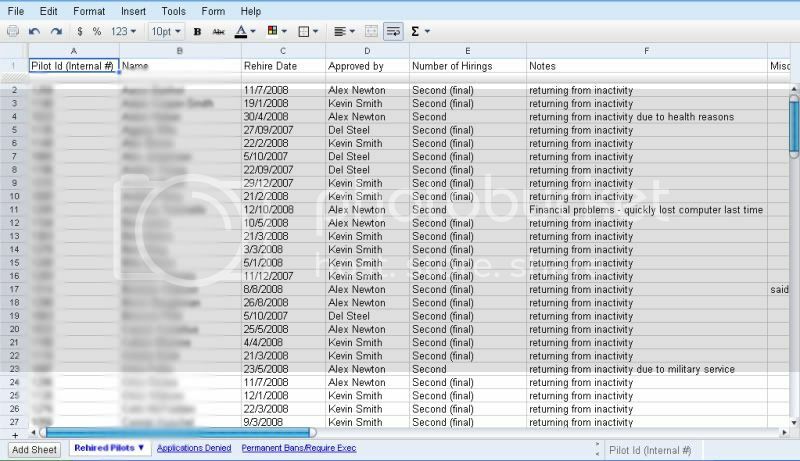 Finally, when it comes to purging inactive pilots (I really hate this process), I have a very handy screen that no longer makes it such a lengthy process.Â Now with the single click of a button, I am able to view a list of all pilots eligible for termination (after warning email is sent), and then I simply check the pilots to be removed and click a button.Â That simple…so make sure this doesnâ€™t happen to you! And with that, you have an in depth look at my job here at MetroAir.Â Please keep an eye out for future ‘Behind the Scenes’ episodes from other staff members.